RIVERSIDE, Ill. -- A Cicero woman was charged with DUI in the western suburbs Monday evening while she was on her way to a court-ordered DUI class for a previous arrest. Vanessa Vargas, 23, was pulled over about 5:30 p.m. in the 100 block of Woodside Road in Riverside, according to Riverside police. An officer smelled alcohol and cannabis coming from the vehicle, and Vargas failed sobriety tests, police said. She had a blood-alcohol concentration of .196, more than double the legal limit. The officer found an open beer can and 18 grams of cannabis in the vehicle, according to police. 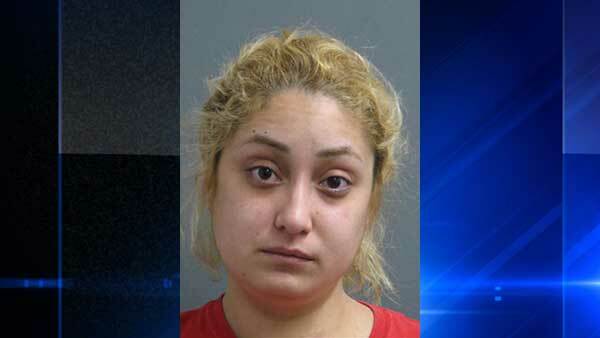 She told police that she was on her way to a mandated DUI class in Chicago as part of a plea agreement from a January 2016 DUI arrest in Berwyn. Vargas was charged with driving under the influence of alcohol; driving under the influence of drugs; driving with open alcohol in a car; and possession of cannabis, authorities said. Her driver's license was valid at the time of the latest arrest because her suspension from the previous arrest had ended, police said.